Make every shopping load lighter with the flexibility of these Custom Celebration Tote Bags. 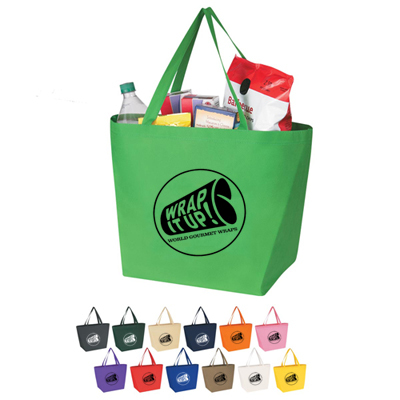 These bags are made of 100% non-woven polypropylene, have 20% post-industrial content and are recyclable. 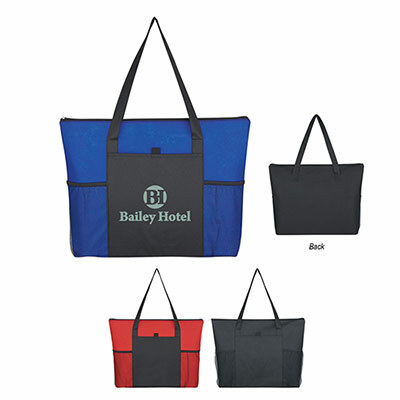 The totes feature sport stitched seams and comes with side and bottom gussets. 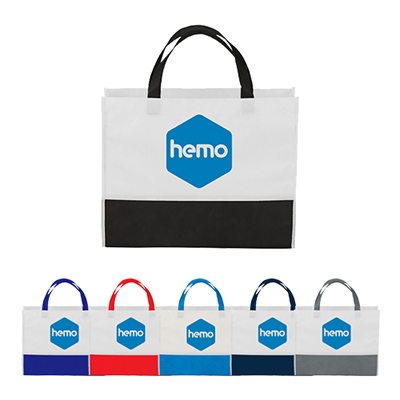 These tote bags are one of our most convenient bags as they are water-resistant, flexible, durable and reusable. In fact, we are not sure if there is any other tote bag ever made that has a quality this one doesn't possess. 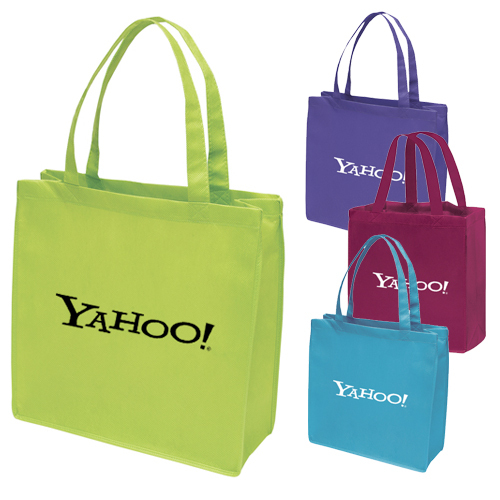 Get these bags from us and let your brand visibility scale new levels.. Impress quickly – buy now! 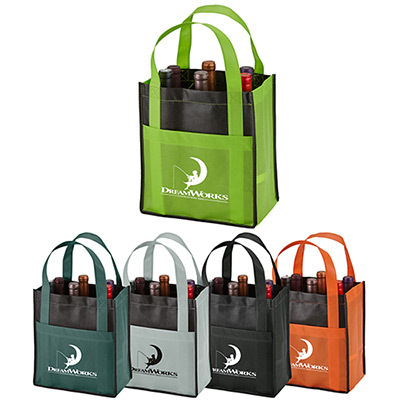 "I was looking for a high-value eco-friendly promotional product to promote my business when I came across this tote. It perfectly serves my needs and has a highly-visible imprint area." "My customers were so happy with these gifts. " Tear resistant, water repellent and reusable!